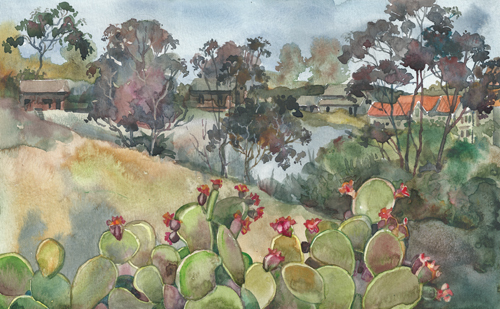 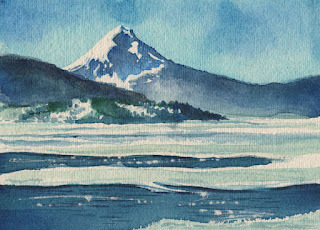 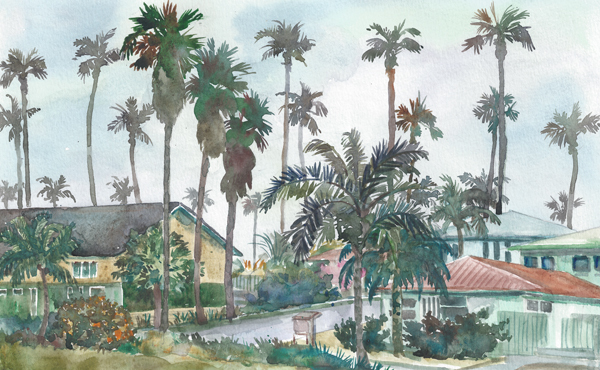 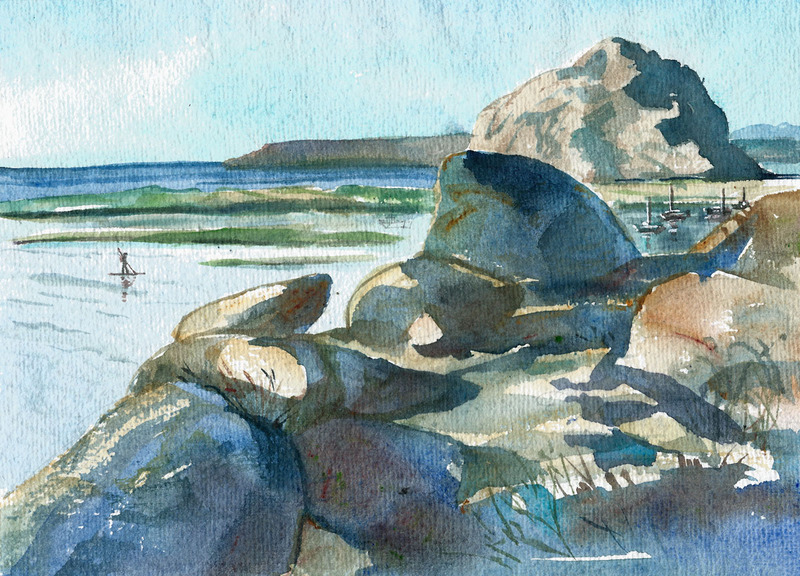 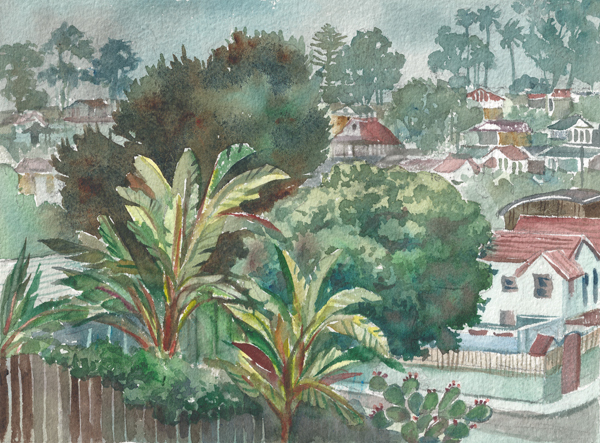 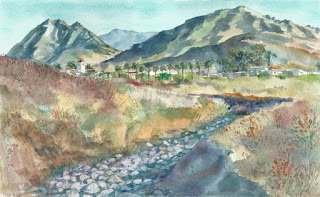 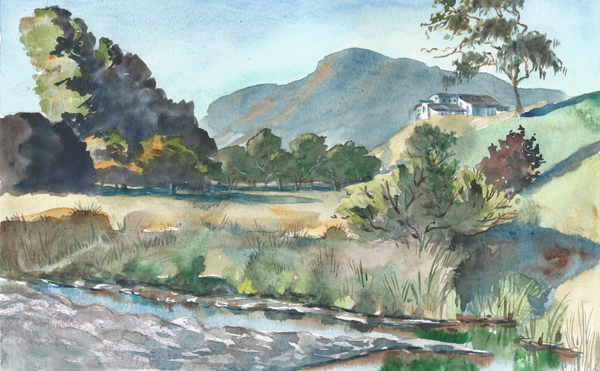 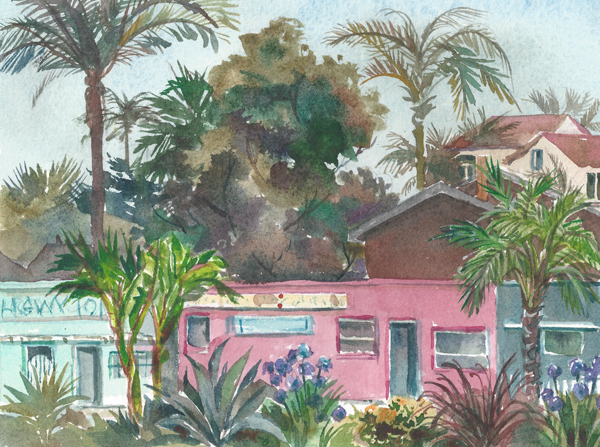 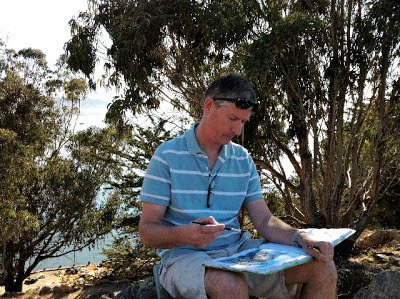 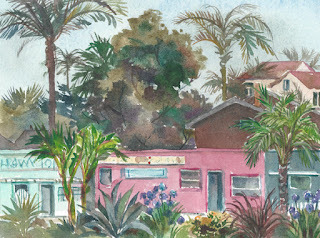 An Autumn trip to the California coast gave me a chance to do a sketch at Morro Bay. 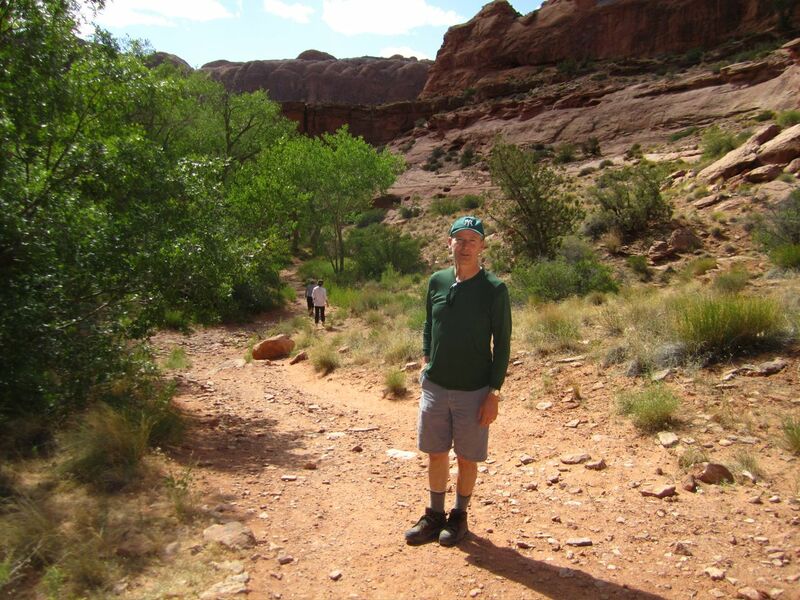 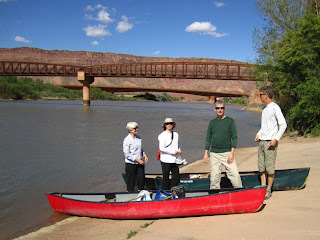 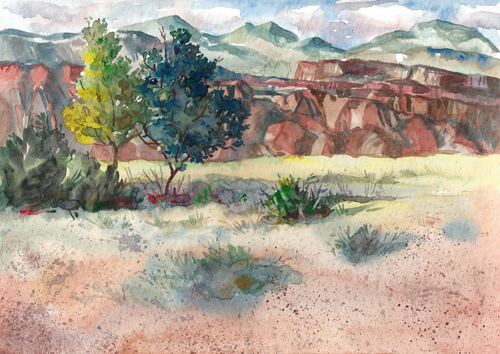 In post tourist season, things were very quiet. 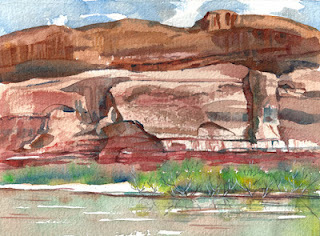 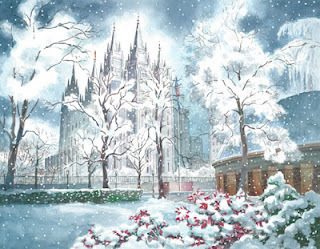 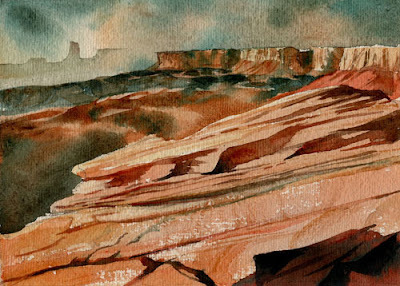 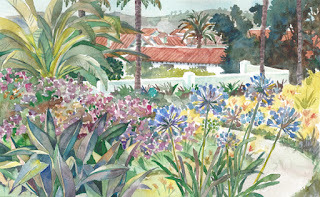 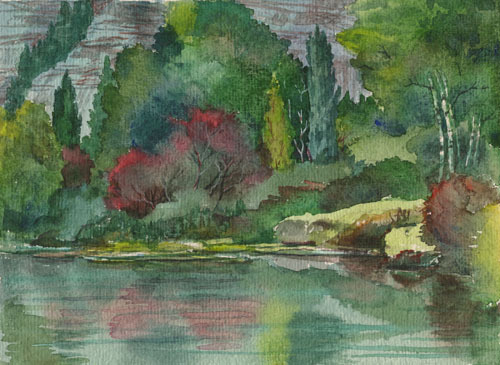 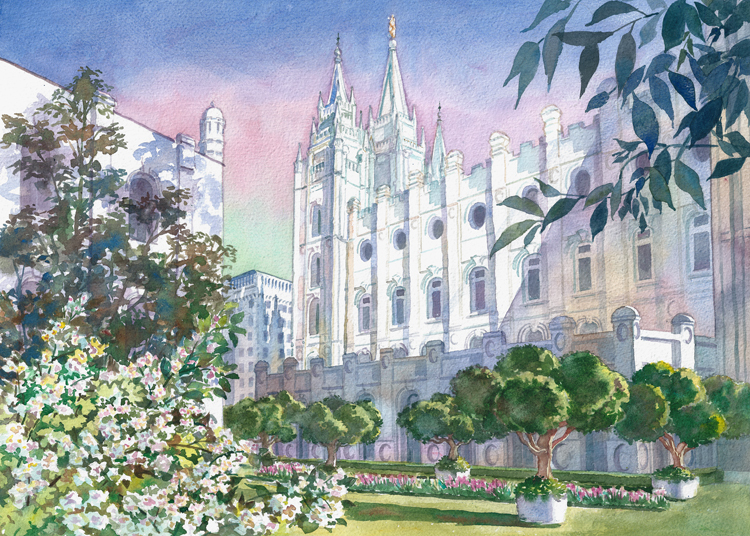 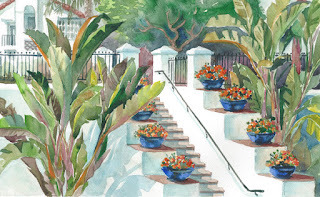 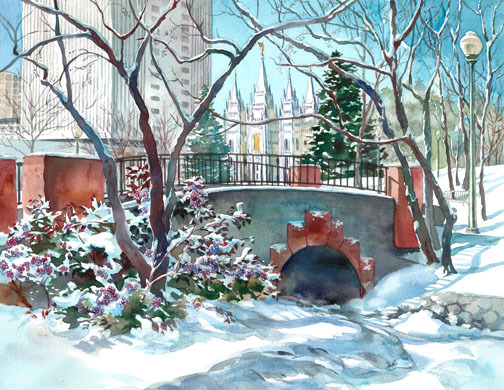 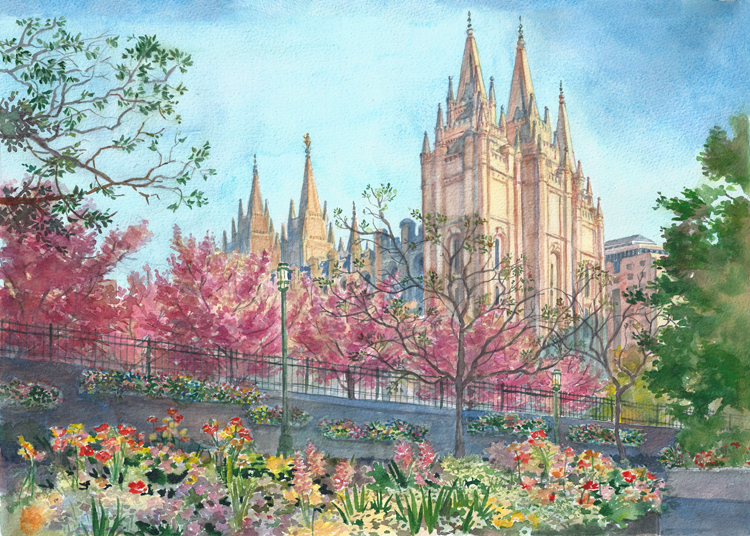 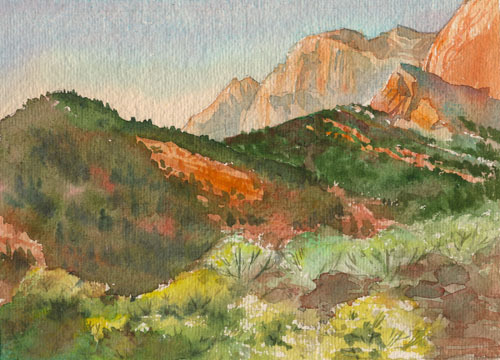 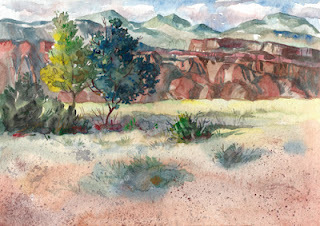 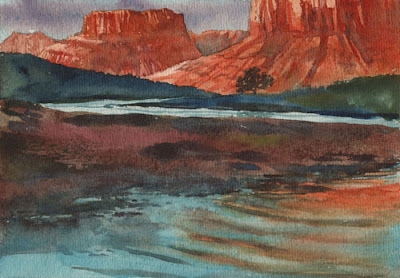 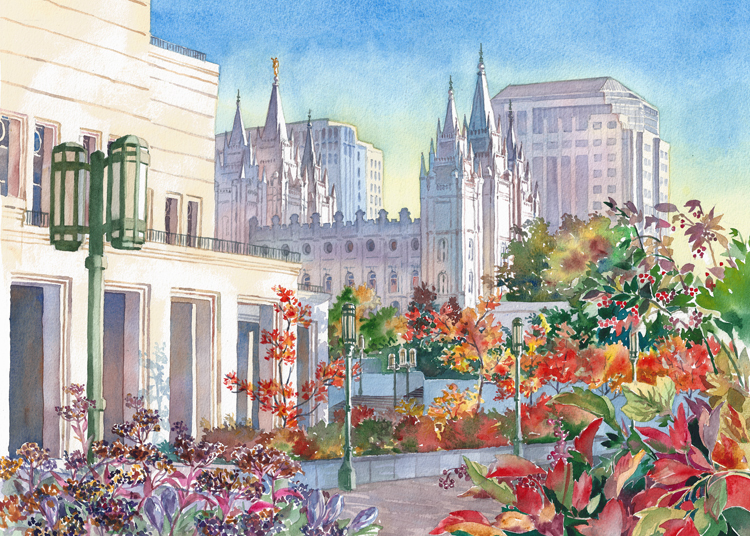 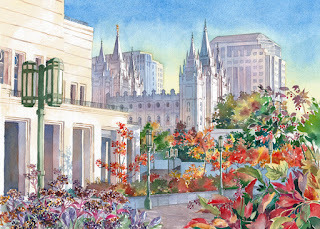 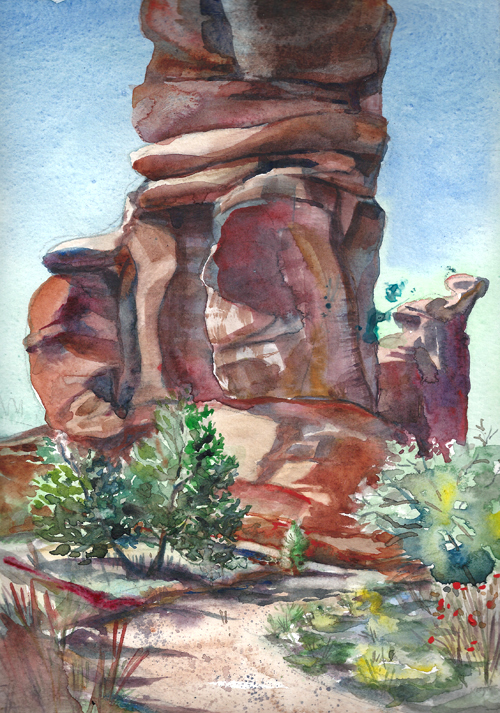 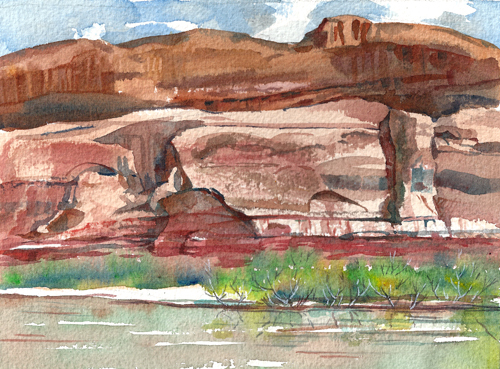 Another painting from "Gardens at Temple Square". 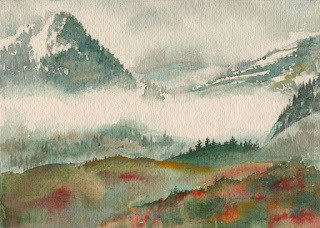 The other two are simpler high Mountain scenes.